Venue Open House with a twist! 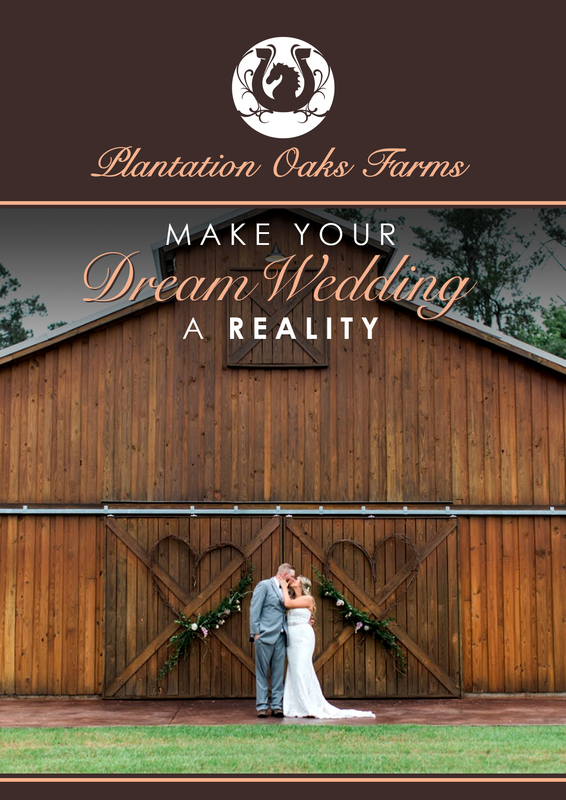 Come out and tour the immaculate grounds of Plantation Oaks Farms, enjoy a professionally catered tasting, and meet Northeast Florida's top vendors who will be giving out all the answers of how to have the perfect wedding in a question and answer format. This is a limited to a maximum of 50 brides and a plus one who are either booked here or are considering booking here. Tickets are free but the bride and her plus one must be registered prior to the event to attend the show. This open house will contain a full venue tour, catered tasting, and an open format for couples to ask local vendors any and all questions about your upcoming wedding. Each vendor was hand picked for their expertise, professionalism, and phenomenal performances at our venue. The venue will be displayed in a mock wedding format where couples can get a visual of what their wedding could look like. Every aspect of a typical wedding from beginning the planning process, choosing the right venue, how to pick the right vendors, to your honeymoon will be covered. Copyright © 2018. PlantationOaksFarms. All rights reserved.